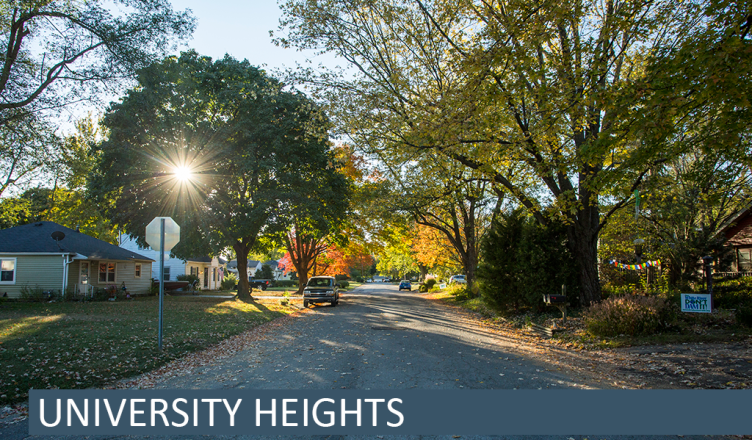 Like many other neighborhoods across the country, University Heights began when the demand for housing increased greatly at the end of the Second World War. What had been farmland west of Muncie became the site of new homes in the late 1940’s and early 1950’s, as the postwar baby boom began in real earnest and returning veterans and others sought homes for their new and growing families. 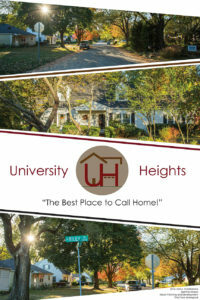 The response to the growth of University Heights and other similar neighborhoods included the opening of West View Elementary School in 1953 and Storer Junior High (later a middle school and now an elementary school) in 1960. The neighborhood went through a cycle of change as those young families grew and then moved off into their own neighborhoods. For some years the neighborhood has had a number of retired persons, but in recent years more young families have entered the area, starting the cycle all over again. A steering committee began meeting fall 2014 with their first meeting on, Thursday, April 9th of that year. 2016 Neighborhood Association meetings will be held on March 10, June 9, September 8, and December 8 at the Riverside Baptist Church, 3700 W. Riverside, from 6:30-7:30 PM. All are welcome! 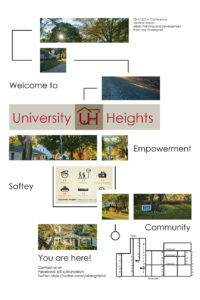 University Heights Bylaws These bylaws were utilized by the previous neighborhood association; they may be updated or redrafted by the currently forming group.